Bluebonnet's after school program is a fun and well-deserved break from school. After a quick bus ride from their school, the students are immediately served a delicious, nutritious snack before they head off to enjoy outdoor activities with friends. 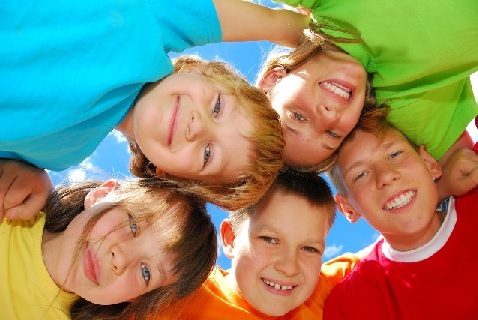 Kids from different schools make new friends and budding relationships often grow into friends for life. Homework is also a priority during our after school program and the kids will have designated time to work on homework with our staff supervising and assisting with tasks. Regular activities each afternoon include supervised time on our playground, time in the pool or at the splash pad (weather permitting), time spent working on art and science projects, cooking projects, playing soccer games and free play time. Children are picked up after school at nearby elementary schools by our buses equipped with factory-installed, 3-point child-sized seat belts. The specific elementary schools we serve vary slightly each year so please check with the head of school to determine which schools are currently being served. Full-day activities and exciting field trips are available during spring break and elementary school teacher training days.